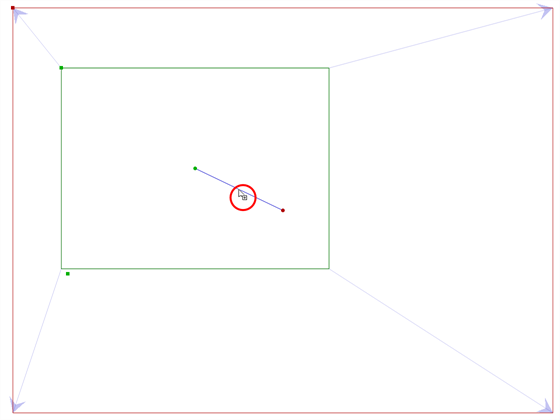 You can change the camera path from one keyframe to the next by adding control points to the trajectory. In the Timeline view, select the scene on which you want to modify the camera trajectory. From the Tools toolbar or the Tools menu, select the Camera tool. In the Stage view, place the cursor over the trajectory between two keyframes. 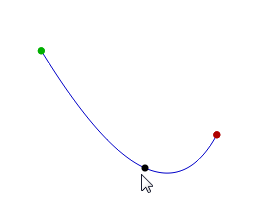 When you see this icon , click and drag the trajectory to reshape it. A control point is added when you let go of the mouse button. Now, instead of the camera going from A to B in a linear fashion, there is a slight curve to the trajectory. 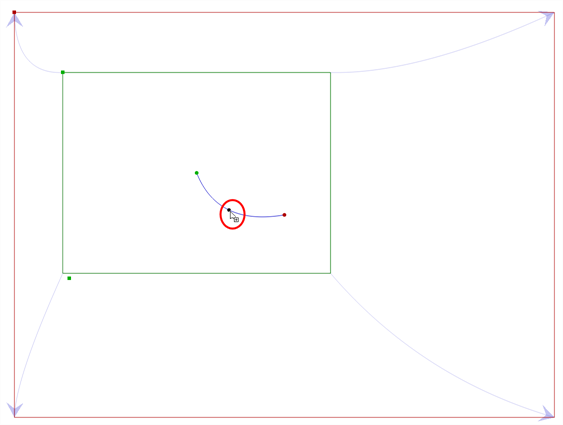 Click the control point to move it and to reshape the trajectory if desired. You can also select the control point in the Stage view, Top view or Side view and click Delete. You do not have to go to the Timeline.